I received two very good gifts this week. 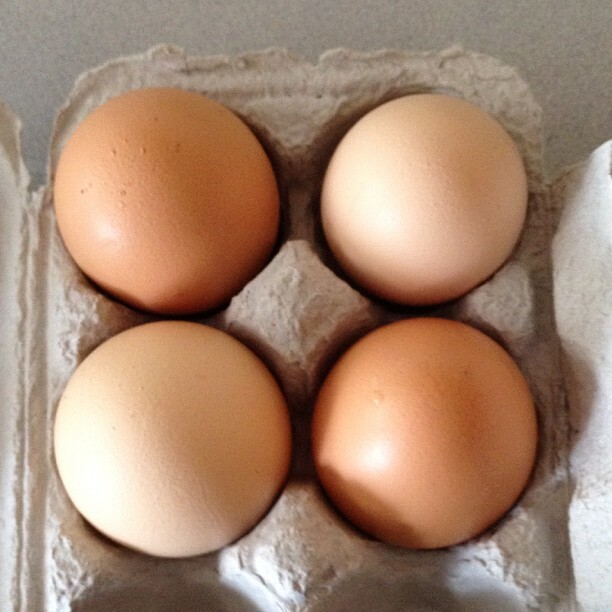 Gifts are always good, but these were very good because they involved food: eggs from Valerie and greens from John. 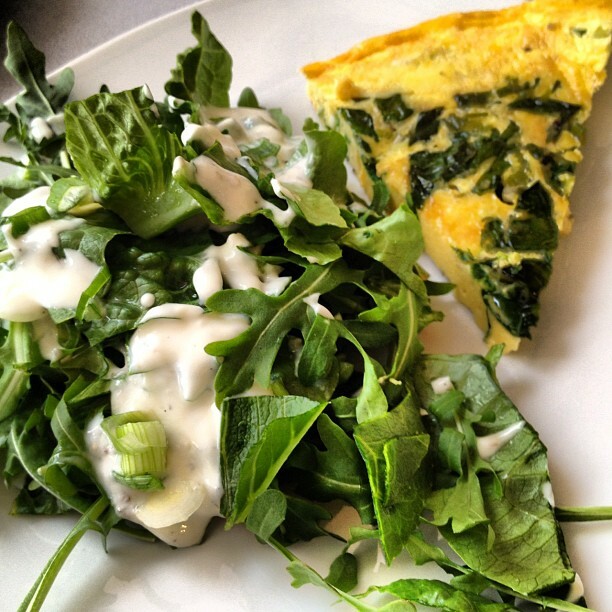 What a perfect combination for an easy weeknight frittata and green salad! 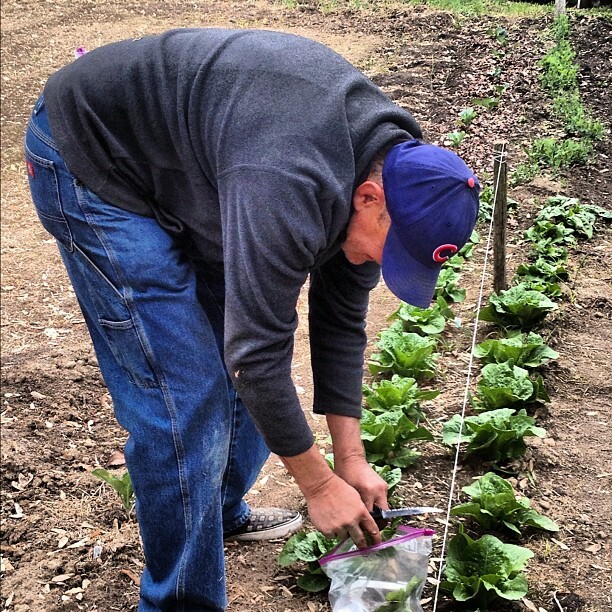 After visiting John’s backyard where he cut me some spinach and romaine, I took to the kitchen. I washed the greens and broke some eggs, eight in all, including four left from Valerie’s gift. I’m meeting the chickens that produced the eggs this weekend! I also chopped up eight spring onions. Into my skillet went some olive oil and a couple pinches of red pepper flake. 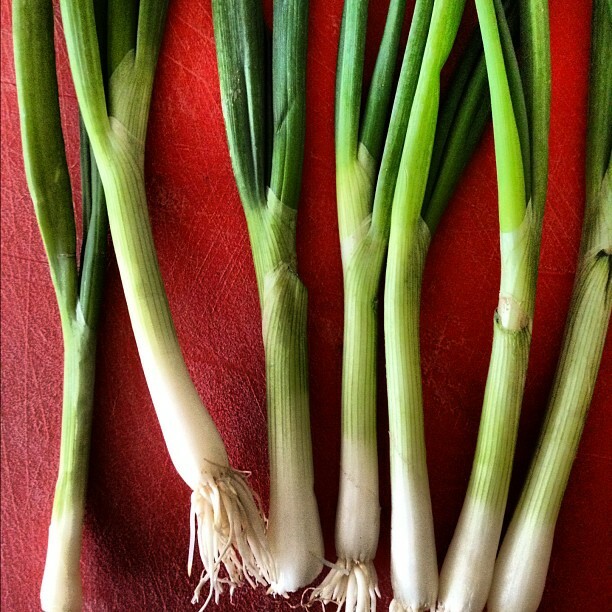 The green onions followed. I chopped two cloves of garlic and the spinach. I added the spinach to the pan and allowed to saute for about four minutes. After I beat the eggs (with half and half, kosher salt and black pepper), I poured them into the skillet over medium heat. Then I left them alone and waited for the frittata goodness to take form. When making a frittata, don’t disturb it too much; allow it to cook on its own. In the beginning of the cooking process, I lift the edges slightly with a spatula to coax uncooked egg underneath, but that’s it. Once the bottom set and the top began to set, I sprinkled a generous portion of sharp white cheddar on top (I prefer goat cheese, but alas, I didn’t make it to the farmer’s market last weekend to stock up on local dairy products). I baked the frittata at 350 degrees for about ten minutes. I know it’s done when it puffs up. The broiler is a good option for this step, too, but I feel like the frittata is fluffier and more evenly cooked when baked. 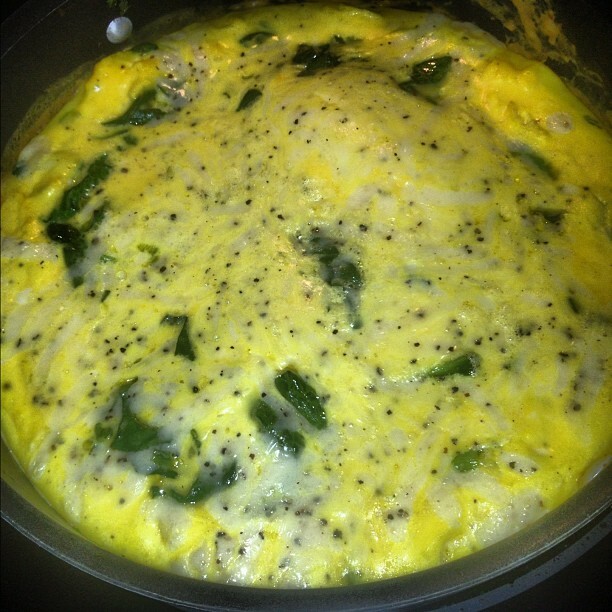 Spinach and Green Onion Frittata. It’s what’s for dinner. I usually turn the frittata out on a plate, but you don’t have to. Just slice it right from the pan. This is so good served with a side salad. 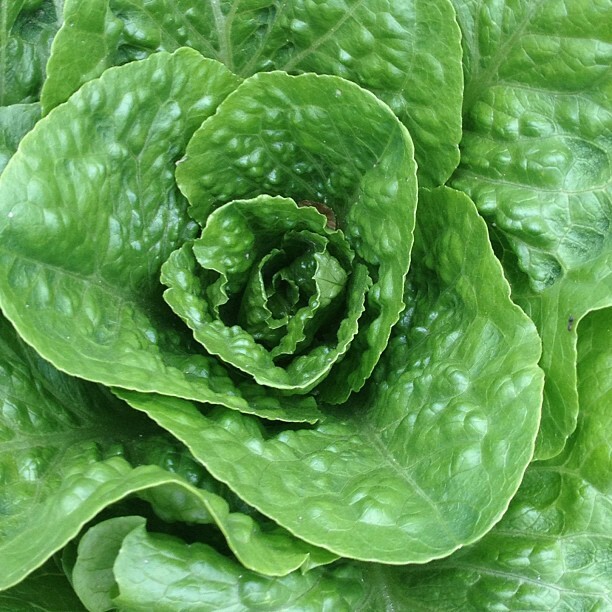 I made my salad with the romaine from John’s garden and arugala. 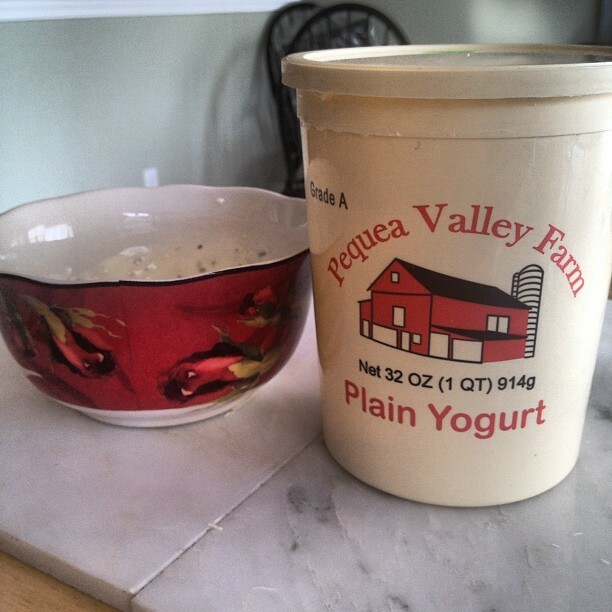 I wanted a dressing that was tangy and garlicky so I concocted my own from my favorite Pequea Valley Farm Yogurt. Yogurt, kosher salt, black pepper, garlic, and some honey make a creamy, perfectly tangy dressing. Preheat oven to 350 degrees. Add the olive oil to a 10 or 12 inch skillet over high heat. Toss in the red pepper flakes. 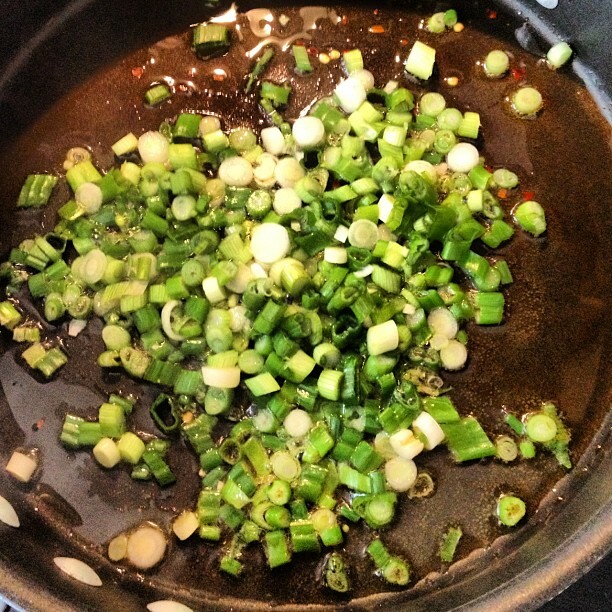 Add spring onions and cook for a couple minutes. Turn the heat down to medium. Add the garlic and the spinach. 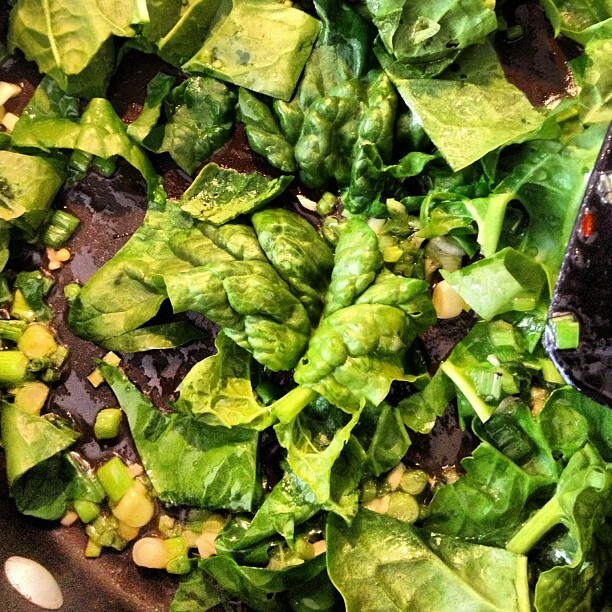 Saute for a few minutes until spinach begins to wilt. 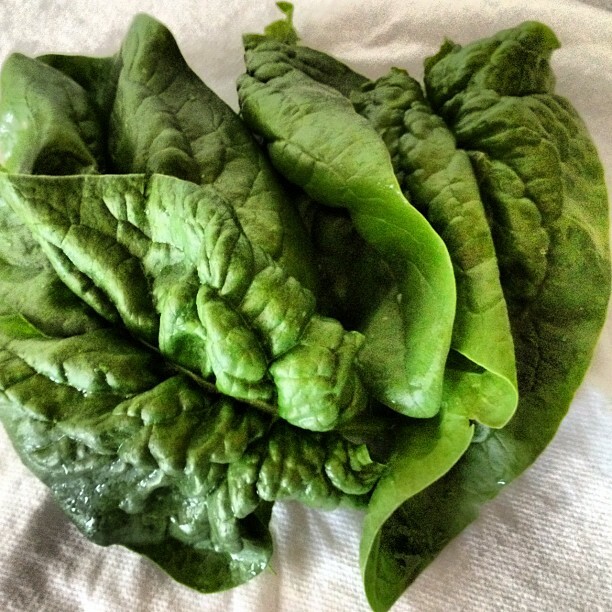 While the spinach is cooking, beat the eggs with half and half and a generous pinch of salt and pepper. Pour this mixture over the spinach and green onions. Allow the bottom to set. You might want to run a rubber spatula along the edge of the pan to allow more egg to seep down to the bottom. When the bottom is set and the top is beginning to set, sprinkle the cheese on top. Put the whole skillet in the oven for ten minutes or until puffy. Combine all ingredients in a bowl. Enjoy. This looks so yummy!!! Great combination of spring flavors! And all local, which is the best part! 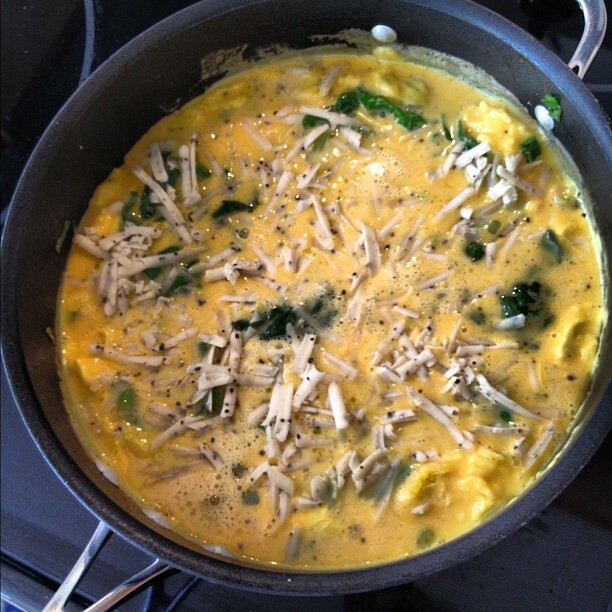 I love a frittata; it’s a great way to use leftover vegetables too.